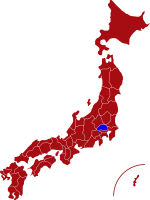 Saitama prefecture is located just north of Tokyo and can be reached by train in under 30 minutes. Locally referred to as “Little Edo”, it has managed to retain many of the traditional features and architecture from the Edo period (1603-1868). 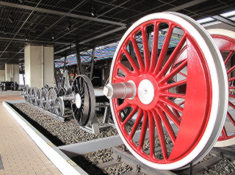 A popular attraction for train enthusiasts is the Railway Museum in Saitama city, which is the largest Railway museum in Japan and houses a vast collection of trains ranging from vintage steam locomotives to modern-day Shinkansen(bullet) trains. There are many colourful dance festivals taking place throughout the year, one of the main festivals being the Sakado Yasakoi which is held on the third weekend of August and attracts over 250,000 visitors. Saitama is also known as the mecca of bonsai and the Omiya Bonsai Festival held from the 3rd to the 5th of May every year is visited by bonsai lovers from all over the world. For more information about Saitama prefecture, see their official tourism website. Rail - The main station in Saitama is Omiya station and takes just 30 minutes to reach from the centre of Tokyo. Saitama Railway Museum is a rail enthusiast's paradise with a large collection of trains dating back to the first steam locomotives in Japan. 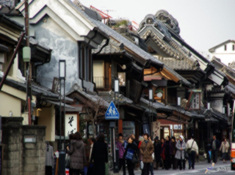 Kawagoe is a beautiful example of old Japan which is proud of the many buildings and local traditions dating back over 300 years. 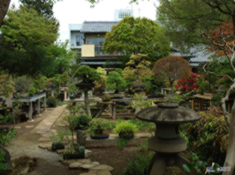 Omiya Bonsai Village is a favourite destination for bonsai lovers from all over the world. The bonsai museum is open every day except Thursdays. 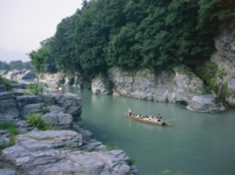 Nagatoro Valley - Whitewater rafting and boat cruises along the Arakawa River are perfect ways to enjoy the breathtaking scenery and beautiful landscape that Nagatoro is famous for.